Repost my photo on IG for an extra entry and tag @meganrunionmcr and #forallthingslovelygiveaway! Leave a comment below letting me know you've entered! I don't have a twitter account, but I followed in IG ad reposted on IG! Love these! I follow via Bloglovin, Instagram, and Twitter (@effulgentlove everywhere). I love these pencils, they're so cute and girly! I follow you on all social media avenues :) Fingers crossed!! I completed all steps to enter. I've been seeing these for a while and really love them!! Completed all of the necessary steps - thanks for a fab giveaway! They are soo cute, I must have them! :) you are always the first blog I check on bloglovin! Followed on Bloglovin, Twitter, and Instagram (both)! Completed all the requirements! 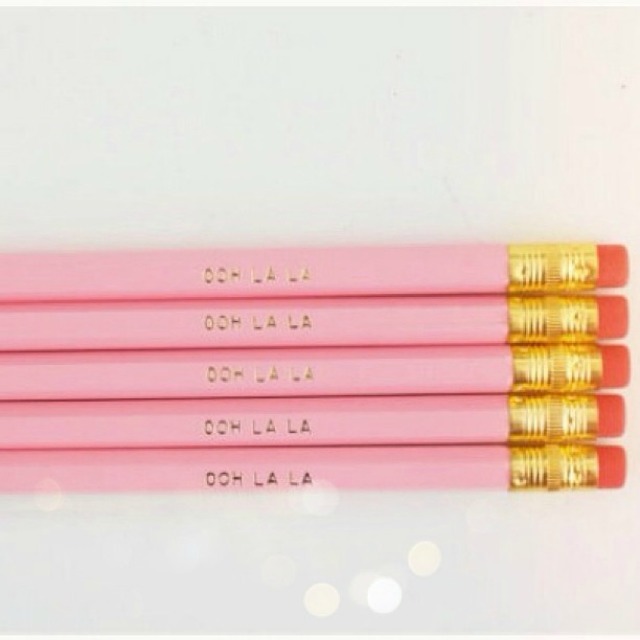 Those pencils are so cute! Wooo hooo! Done, done, done, aaaaaaaand done! I am in LOVE with these pencils, though. Pink, adorable, and totally functional; what more could a girl ask for? Thanks to you & Shop Fancy Things for putting on this sweet giveaway! I have followed in every way possible and reposted on Instagram! I Follow @meganrunionmcr on Instagram! Following all! Thanks for a great giveaway!